THE GREAT BEAUTY, IL DIVO, THE CONSEQUENCES OF LOVE, THE FAMILY FRIEND ja ONE MAN UP. Jep Gambardella, a 65-year-old journalist and once promising novelist, spends his easy life among Rome's high society in a swirl of rooftop parties and late-night soirees. But when he learns of the death of his friend's wife a woman he loved as an 18-year-old his life is thrown into perspective and he begins to see the world through new eyes. A dazzling, dizzying, mesmerising and hypnotic cinematic tour-de-force that has drawn comparisons with Italian greats such as La Dolce Vita and La Notte. A riveting tale of political intrigue and organised crime, based n the extraordinary life of Italian Prime Miniser Guilio Andreotti. 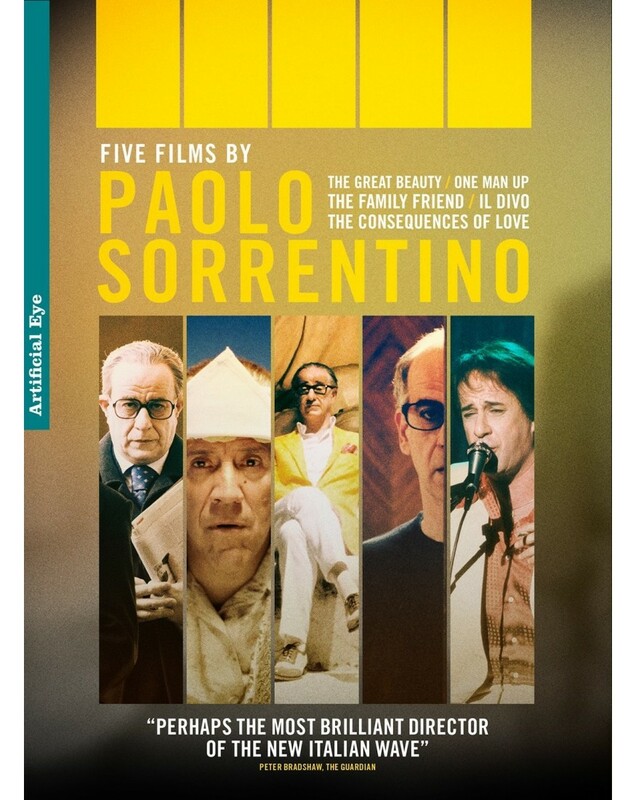 Paolo Sorrentino's gripping psychological thriller probes the dark secret harboured by middle-aged Italian loner Titta Di Girolamo, who has lived for eight years in an anonymous Swiss hotel. In this visually-stunning and highly original comedy drama, a couple struggle to raise the money needed for their daughter Rosalba s imminent wedding, so they approach Geremia di Geremei, a seedy loan shark for help. The parallel lives of a popstar and a footballer clash when both experience a major crisis. Their stories, if not their lives begin to affect each other, and in the end, one of them will be redeemed by the redemption of the other.